Following energieheld's vigorous growth in the first half of 2015, we were able to end the second half of 2015 with more growth and have significantly exceeded our planning targets. We were even able to increase our revenues in the second half of the year by more than 57% in comparison to the previous year. All in all, in 2015 we achieved a total growth of 115% in comparison to 2014. What makes this special is that we did not increase marketing expenses or personnel but grew organically instead! The plan is to substantially increase our growth with the crowd's financial resources and to handle existing customer orders - which we currently have to resell at lower proceeds due to the fact that we do not have regional offices yet - with the help of our very attractive business model. Therefore, we intend to increase our revenues to approx. EUR 1 million in 2016. We have currently generated projects with order volumes of more than EUR 3.5 million. This means that customers have offers (at said volume) from our craftsman businesses. These orders were realized entirely by our 5 customer consultants in Hannover and Bremen. We know from experience that we can expect a significant increase in orders over the next few weeks and months considering that the year has only just started. January got off to an amazing start for us: In the first week of January, we registered in excess of 70,000 visitors (+10,000 per day) on our portal - a new record! Even before the campaign launch, we set a visitor record of more than 12,000 visitors in a single day. This corresponds to growth of approx. 45% in comparison to the previous month. We can therefore show that we are on the right track with our service and that the customers are happy with our solutions. A further positive aspect is the sharp increase of our conversion rate: The relaunch of our website www.energieheld.de in January 2016 resulted in an above average amount of orders in comparison to the number of visitors, and therefore a 10% increase of our conversion rate. 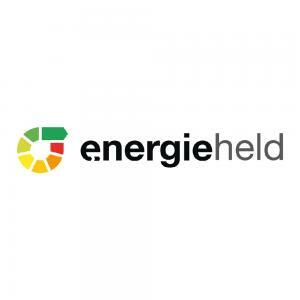 Hence, the number of requests to energieheld in the first week of January increased by more than 57% in comparison to the previous month. CAMPAIGN: Recommend a craftsman business and reap the benefits! Together with the crowd, we want to tackle the further growth of energieheld, which is why we would like you to recommend a craftsman business that you believe is open for innovation, digitalization and cooperation on an equal footing. Which craftsman businesses are worth considering for a partnership (write to: handwerker@energieheld.de) and why. It might be a good idea to approach the businesses and tell them about our Companisto campaign first. We will get to know the business, either personally or via telephone. We will conclude a cooperation contract that is completely without risk for the craftsman business. Once we have realized the first joint project, we will give you EUR 100 - CASH! Let us go the next steps together - help us prepare our network of craftsmen for the upcoming expansion. We are very optimistic about the year 2016 and are looking forward to sharing more good news with you in the future!.